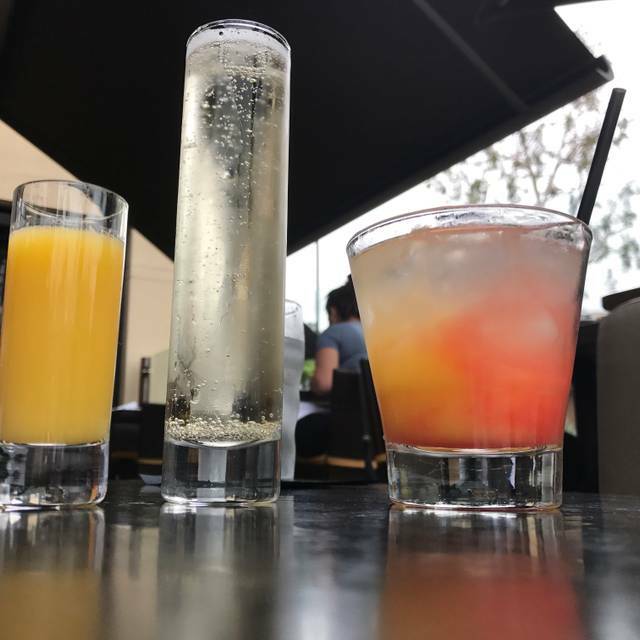 Reunion Kitchen + Drink - Relax-Reminisce-Reconnect - providing a fun and sophisticated dining experience to Anaheim Hills and the surrounding area. New American “Modern Comfort” menu consists of fresh ingredients made daily from scratch in our exhibition kitchen. Lunch and dinner menus feature unique items that guests crave. 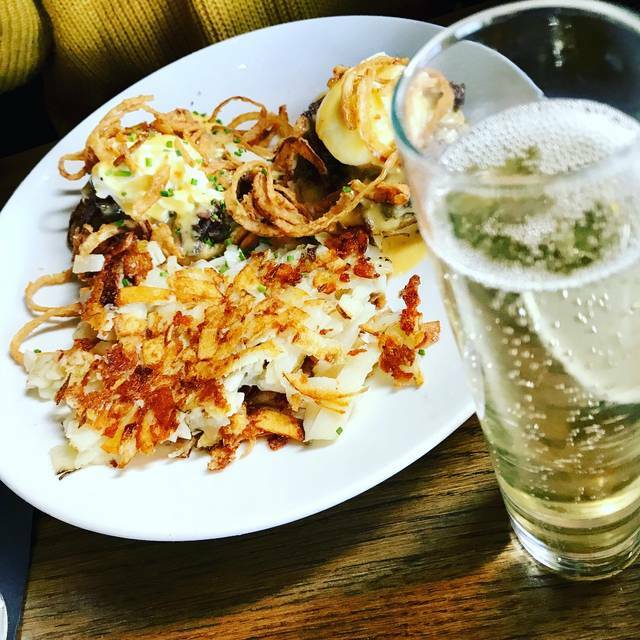 Reunion features a great weekend breakfast menu. The menu is designed to deliver quality and value. From our soup of the day to our obsession with burgers to our prime rib, the value and quality is delivered with each and every plate. Reunion Kitchen is a festive bar destination for social hour with great snacks, craft beers , retro-cocktails and fun time with family and friends. Reunion will offer seasonal craft beers and great selection of wines by the glass and signature drinks. The music and atmosphere has a great energy that our guests enjoy. Our passion and standards for excellence reflect in the warm and professional service of our staff. Packed! This place is becoming a product of their own success. Even with a reservation prepare to wait another 15-25 minutes. Boo! I would suggest you show up earlier than the reservation time and “check-in” ... I know that defeats the purpose of the reservation. Also, be prepared to have no where to wait and stand in front of every host and patron coming and going. The food and service are great but the place is too busy and super loud inside. They need to expand somehow... that and/or that Anaheim Hills needs more restaurants like this so this place isn’t the only solid choice in the are. We had an excellent dinner. The meatloaf sandwich was delicious. The Ahi salad was cooked to perfection. We have been to this restaurant three times and will definitely be coming back. Our food was yummy, the servers were all excellent. I would definitely go back again. I made a dinner reservation and I noted that we were celebrating our wedding anniversary. Unfortunately our celebration wasn’t ever brought up so at desert I told our server it was our anniversary and for added flare could they write happy anniversary in a desert sauce of the cake we ordered it wasn’t possible which was fine he brought out our desert with a candle. Why ask in the reservation if it’s a special occasion when it will never be acknowledged? The food was good, server was polite. One recommendation I have is to inform the diner a side substitute is additional rather than learning when you get the bill. I asked for macaroni instead of vegetables which he said was fine, I didn’t know it would be extra. It’s not about the money just a courtesy to let the diner know in advance. We had calamari appetizer, fish and chips and rosemary fried chicken. The food was good. We met friends at Reunion and were so pleasantly surprised at the great atmosphere, food and service. Loved the eggs benedict! Plenty of variety on the menu. Great service and bottomless mimosas. We'll definitely be back soon! Other than having to wait 30 minutes for our drinks and the waitress informing us that they were out of the bottle of wine we ordered at that time as well it was fine. 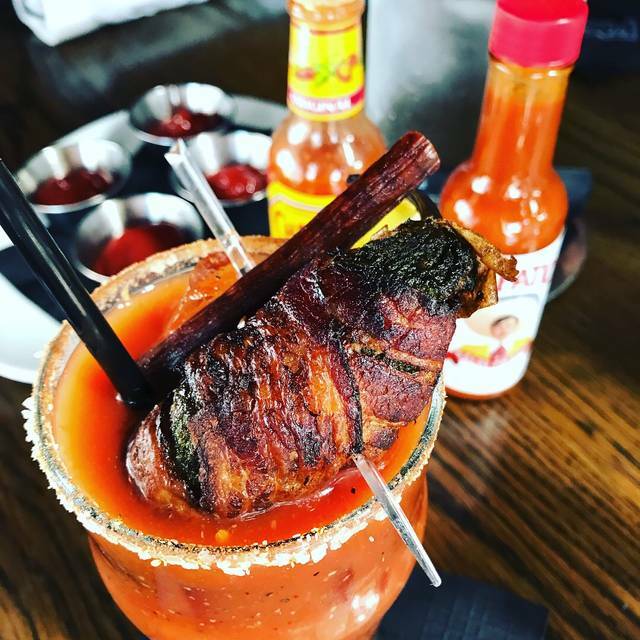 Food should never come out before drinks. yum...fantastic as always! Always our go to place, especially with friends and family. Solid as always!! Am a restaurant owner and been in the business for almost 30 years and look forward to every Reunion visit! Great atmosphere and wonderful service. 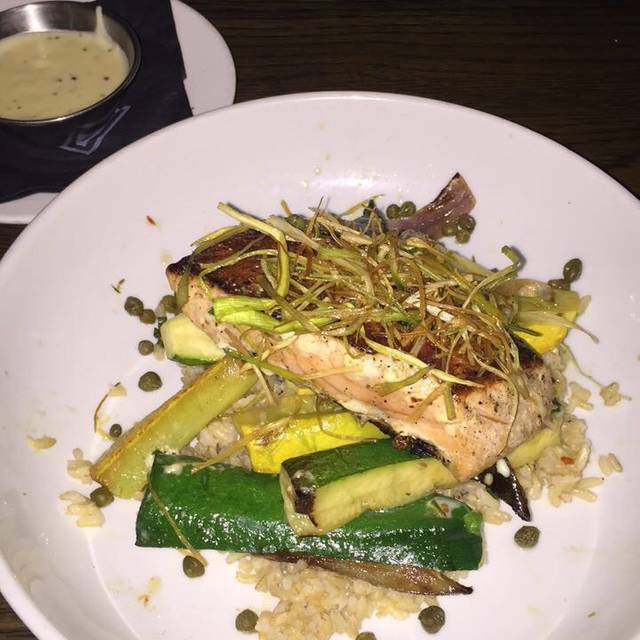 The meal is always amazing! The food was outstanding. The service was slow; however, our server was very sweet and accommodating. Great food and service. Always my first choice when I’m in the area. Food is always good. Staff is friendly. They ran out of hibiscus tea last time we were there, which was a bummer because it's so good. It's a neat restaurant that always leaves me satisfied. Service was great. Food is tasty. Only complaint is that it was noisy, but that’s the atmosphere. Our wedge salads, while a bit pricey, were very good! The food is always awesome. There isn’t a bad dish on the menu. 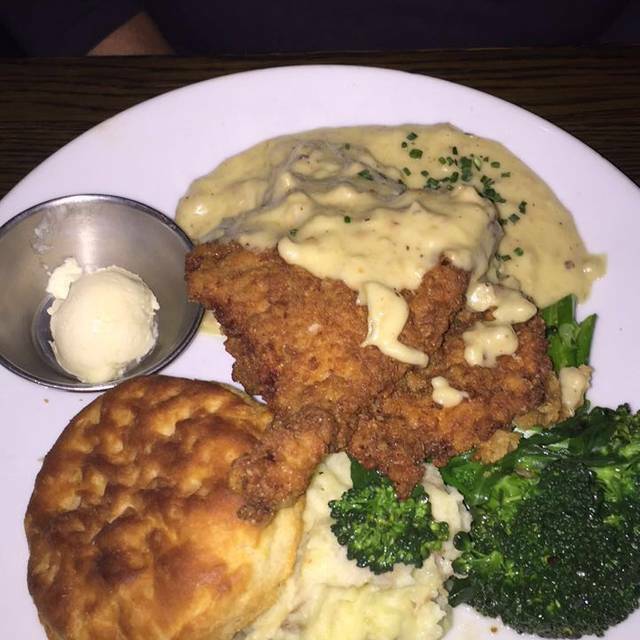 My fave is the biscuits and gravy fried chicken. We went to Reunion Kitchen to celebrate a birthday. We were a group of 7. The restaurant was very busy and we were seated near the kitchen. The server was very attentive and the food was tasty and large portions too. They will refrigerate your cake if you choose to bring one in for your party. The prices are reasonable and I’m looking forward to return. A couple vegetarian options. 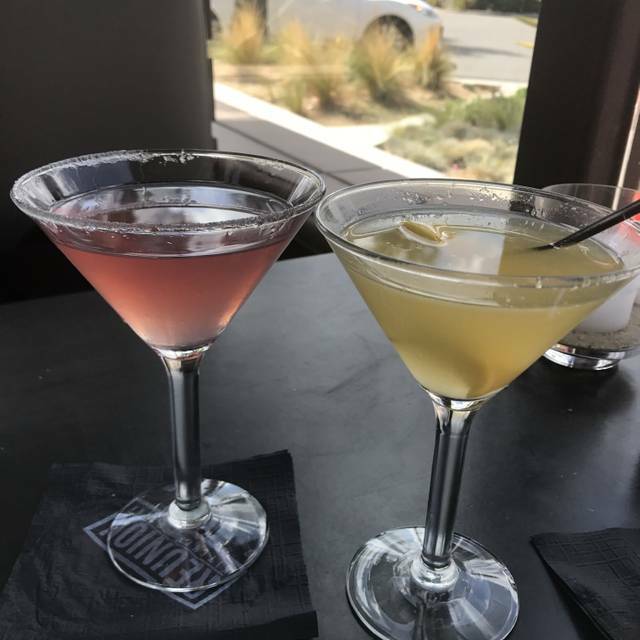 My husband and I continue to go back to the Reunion Kitchen in Anaheim Hills and in Laguna Beach. Great Food and Drinks! We go monthly and love it. We always enjoy our time at The Reunion. We had a nice dinner with friends and always love that there is no corkage fee. Busy but fun. Great service. We came early to avoid the crowds. Service was good and the food was excellent. Since we were early, the noise level wasn't too bad. We really enjoyed ourselves that evening. Food quality was good, very loud , crowded and noisy atmosphere. Our server was attentive at first , then seemed to disappear . We had to ask others to find him. The menu is unexciting yet too diverse. Maybe my expectation was too high? I think this is more a gastro pub than a dinner restaurant. I had short ribs. Spouse had filet, our guests had flat iron steak and short ribs. Just ok.
Desert was the highlight, we had butter cake and the apple crumb . The 4 of us shared these 2 deserts. Both were very tasty. I’m on the fence about returning. There nothing compelling about it, other than the lack of dining options in the area. Enjoyed a terrific dinner with family. First time I had the short ribs - they were terrific! 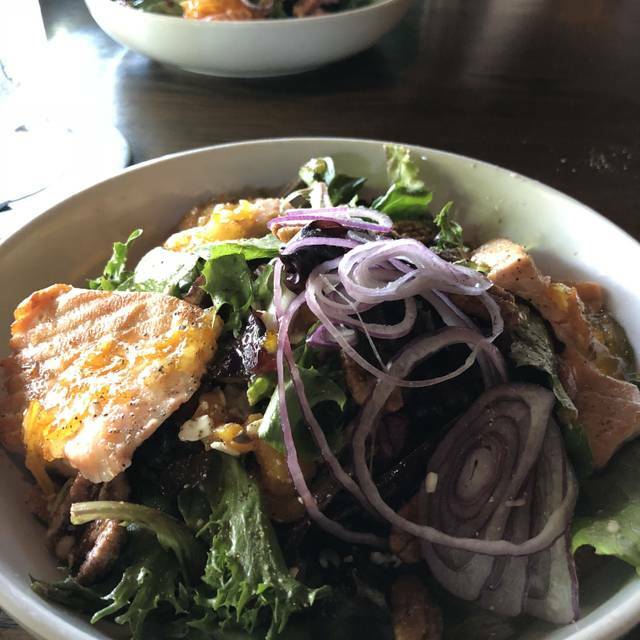 Salmon citrus salad is great. Parking is a pain, always takes a while to find a spot. Good food, good vibes! I will definitely return. Good food, good vibes! I will definitely return. We have dined here often and most of our food choices have been good to great. They have a wonderful appetizer list, with the ribs, poke, and pretzel among our favorites. Had the Rosemary's chicken, which is always a home-run. Their portions are very generous, so sharing is always an option and gives you a chance to taste a variety of tasty items. Service was pleasant, attentive, and food courses were well timed. Overall, a very enjoyable experience. Dinner and service was wonderful!! Service was very good, but the food was just okay. Nothing special for the price. disappointed. We ordered a cookie ice cream sandwich and the cookie was too hard, we could hardly cut it with our fork. The vegetable soup was too spicy and hot. My son did not care for the mashed potatoes with blue cheese. Came here for Fathers Day brunch and were not disappointed. Short rib machaca and eggs Benedict were delicious. Our waitress Emily was fantastic, she knew the menu inside out as well as available beers. Will definitely be back. Food was awesome. I was a little upset that is took so long to be seated with a reservation and we didn’t even get seated in a booth as requested. We were also celebrating my husbands birthday which I noted and they didn’t acknowledge it. This was our first visit and we were extremely pleased. The staff was friendly and our server was excellent. They made our special occasion very special. We will definitely go back again and will recommend that our friends go too. Best prime rib dip in town! !